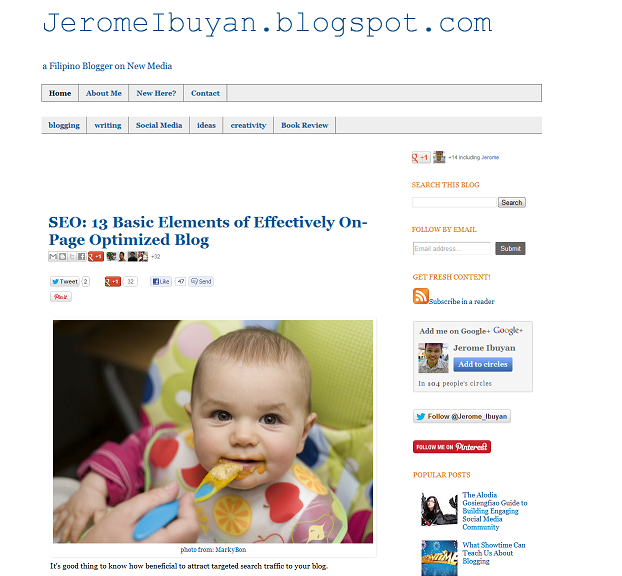 With hopes to become a writer, Jerome started a free-hosted blog to practice his writing skill. Later on, he got indulge about blogging itself, so he decide it to become a repository of what he learns in the new media industry. In his blog, you'll find essential blogging tips in the context by a Filipino blogger. Jerome is a 27 year old Computer Science graduate who have a great thirst for knowledge. Mostly, he spend his time reading online articles and books. In addition, he loves to listen to different kinds of music, as what he also shares in social networks. At first, Jerome's inspiration was just to write his experience but today, he is inspired of his readers, especially those who take their time to leave smart comment. In addition, he was deeply influenced by his favorite blogger, Brian Clark. From Waiting Tables to Writing: Basic Blogging Lessons I Learned as Restaurant Staff - This is one of his well-thought posts, which is based from his past experience working in a restaurant. The lessons are little basic but they're indispensable if you want your blog to stand out. I might check the favorite blog post because it sounds interesting to me. Love to know more bloggers. Blogging is one way of making new friends. Wow Jerome! Congrats sa feature! As a 27 yrs old blogger, you are really good in making your article. It is fun to read. Filipino blogger really rocks! It's always great to get to know a fellow FBW in a more in depth manner. A very captivating personality and a blogger worthwhile of being followed, which I've done in different social media! More power to FBW, and to you, Mr. Jerome Ibuyan! I like the correlation he made between blogging and waiting tables. congrats to Jerome! he owns a good writing skill, the reason why many of his posts are being copied. keep it up! Gusto ko din ma feature wahahaha... Kakaingit maganda pala mafeature may parang bio data. 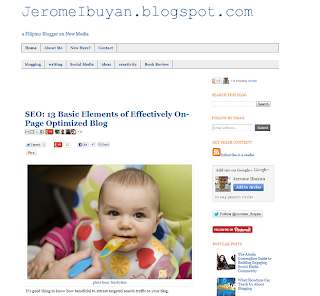 You're another great blogger Jerome! Way to go Jerome! More Power! Good that they're starting young. Continue writing Jerome! wow, congrats! nice to see blogs such as this.inspiring indeed! Wow! Nakakatuwa naman you have this featured blogger thing. 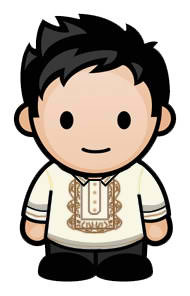 :) Sana in time I will be one. Haha. Ilusyunada lang ang peg. this is what i miss about blogging and bloggers, before we used to blog about our experience, we are all sincere about what we say and you'd really know it's from the heart, but nowadays? you see people blogging about commercial stuff. Congrats! it is nice to know that you are sharing what you have experience so pips like me will learn also.